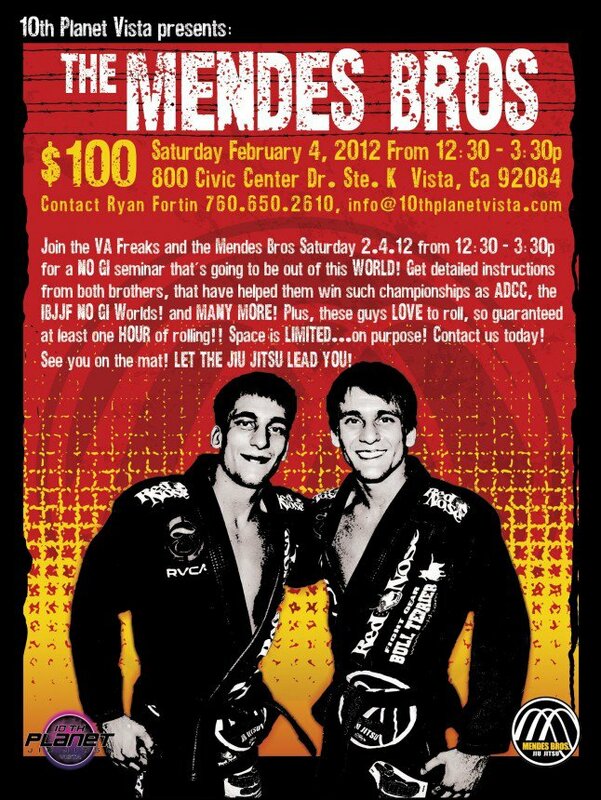 The Mendes Bros Seminar @ 10th Planet Vista! Thor Skancke Wrestling Clinic A Success! Takedowns, takedowns, takedowns! The sounds of bodies hitting the mat echoed throughout the gym as Thor Skancke payed a visit to 10th Planet Jiu Jitsu Van Nuys sharing his wrestling knowledge for MMA and Jiu Jitsu. Even students from 10th Planet Jiu Jitsu Riverside came by to polish up their takedowns with the master himself. It was a great fun filled environment with everyone eager to sprawling and smashing. From setups to finishes, Thor covered all the essential movements from the clinch game, building a structure of takedowns flowing into each other so that ultimately the fight ends up on the ground where we flourish. We want to thank Thor Skancke for stopping by with us and showing us an awesome time and how amazing wrestling can be! Can’t wait for another clinic!